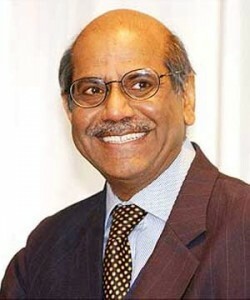 In this column, Shyam Saran, former Indian Foreign Secretary and currently Chairman of India’s National Security Advisory Board, argues that the new financial institutions put in place by the BRICS countries at their recent summit in Brazil will alter the global financial landscape irreversibly. NEW DELHI, Jul 23 2014 (IPS) - The sixth BRICS Summit which has just ended in Brazil marks the transition of a grouping based hitherto on shared concerns to one based on shared interests. Since the inception of BRICS (bringing together Brazil, Russia, India, China and South Africa) in 2009, it has been seen as a mainly flag waving exercise by a group of influential emerging economies, with little in terms of convergent interest other than signalling their strong dissatisfaction over persistent Western dominance of the world economic, financial as well as security order, but unable to fashion credible alternative governance structures themselves. However, with the Fortaleza Summit finally announcing the much awaited establishment of the New Development Bank (NDB) with a 50 billion dollar subscribed capital and a Contingency Reserve Arrangement (CRA) of 100 billion dollars, the monopoly status and role of the Bretton Woods institutions – the World Bank and the International Monetary Fund (IMF) – stand broken. True, it may take the NDB and the CRA considerable time and experience to evolve into credible international financial institutions but that clearly is the intent. BRICS leaders have kept the door open for other stakeholders, but will retain at least a 55 percent equity share. They have also been careful to declare that these new institutions will supplement the activities of the World Bank and the IMF, and this has also been the initial response from the latter. Nevertheless, the emergence of an alternative source of financing with norms different from those followed by the established institutions will alter the global financial landscape irreversibly. It may be noted for the future that the one component of the global financial infrastructure where Western companies still remain supreme is the insurance and reinsurance sector. Global trade flows, in particular energy flows are almost invariably insured by a handful of Western companies which also determine risk factors and premiums. In Brazil, the BRICS countries have given notice that they will examine the prospect of pooling their capacities in this sector. A more competitive situation in this sector can only be a positive development for developing countries. The BRICS initiatives were born out of mounting frustration among emerging countries that even a modest restructuring of the governing structures of the Bretton Woods institutions, to reflect their growing economic profile, was being resisted. The commitment made in 2010 at the G20 to enlarge their stake in the IMF remains unfulfilled while the restructuring of the World Bank is yet to be taken up. The longer the delay in such restructuring, the more rapid the consolidation of the new BRICS institutions is likely to be. It is this factor which played a role in helping resolve some of the differences among the BRICS countries over the structure and governance of these proposed institutions. The setting up of the BRICS institutions owed a great deal to the energy and push displayed by China. It is doubtful that the proposals would have been actualised had China not put its full weight behind them and showed a readiness to accommodate other member countries, in particular India. Russia became more enthusiastic after being drummed out of the G8 and subjected to Western sanctions. 1. The proposal for setting up an Asian Infrastructure Investment Bank (AIIB) to fund infrastructure and connectivity projects in Asia, in particular, those which would help revive the maritime and land “Silk Routes” linking China with both its eastern and western flanks. The parallel with the NDB is hard to miss. 2. The consolidation of the Chiang Mai Initiative Multilateralisation (CMIM) and the associated Asian Multilateral Research Organisation (AMRO) among the Association of Southeast Asian Nations (ASEAN) + 3 (China, Japan and the Republic of Korea). The CMIM is now a 240 billion dollar financing facility to help member countries deal with balance of payments difficulties. This is similar to the 100 billion dollar CRA set up by BRICS. AMRO has evolved into a mechanism for macro-economic surveillance of member countries and provides a benchmark for their economic health and performance. This would enable sound lending policies and may very well be linked in future to the AIIB. The CMIM and the AMRO thus provide building blocks which could serve as the template for the NDB, the CRA and the AIIB. 3. In addition to the CMIM and the AMRO, there are ongoing initiatives within ASEAN + 3 to develop a truly Asian Bond Market which could mobilise regional savings into regional investments through local currency bonds. To support this initiative, a regional Credit Guarantee and Investment Facility has been established. A Regional Settlement Intermediary is proposed to facilitate cross-border multi-currency transfers. These developments are taking place just when there is a rapidly growing Chinese yuan-denominated bond market, the so-called dim-sum bonds, which have become an important source of corporate financing. This reduces the dependence on euro and U.S. dollar-denominated bonds. The NDB could tap into this market to build up its own finances. It is important to keep in mind this broader picture in assessing the significance of the decisions taken at the Fortaleza Summit. In systematically pursuing a number of parallel initiatives, China is attempting to create an alternative financial infrastructure which would have it in the lead role. The dilemma for other emerging countries is that there appear to be no credible alternatives, especially since the Western countries are unwilling to cede any enhanced role to them. The Fortaleza Summit marks the beginning of the end of the post-Second World War Western dominance of the global economic and financial order. The existing institutions will now have to share space with the new entrants and may be compelled to adjust their norms to compete with the latter. Has North America created an unpayable debt with BRICS? I wouldn’t be surprised. We just don’t want to admit that we have pretty most lost economic and military world dominance. My question is where does Islam come into this? As I know it plays a great,(religious/way of life), influence in Russia, China, and India. Brazil and South Africa are touched to a degree as well. Is this not the next step of economic/ Islam world dominance? When r we gonna get smart & realize that ALL nations have to come together & create a global economic & security system that accommodates ALL. No nation is self-subsistent. Stop the one-upmanship games people & nations like to play & get real guys. Our saving grace is Consultation & Cooperation among peoples & nations!